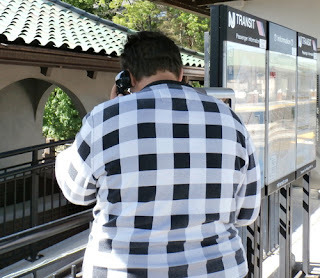 I’m calling from the platform. I’m using a pay phone. I’m about to get on the train, I hear it coming. Good Bye. No new pay phones, you say. Guess you haven’t taken a N.J Transit Train lately, at least one that stops at one of their new platforms. 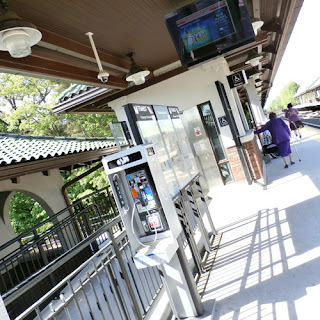 Over the last few years, part of the shovel-ready stimulus spending I think, NJ Transit renovated several of their outlying stations in our Hinterlands. This phone was in Ridgewood, New Jersey and was even being used. There are still reasons to use a pay phone. Pre-renovation – which included construction of entirely new platforms – there was no pay phone on this platform before. Now the new platform has a new pay phone. 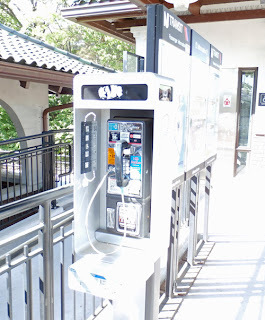 I wonder if the number of new pay phones in the United States number in the thousands, hundreds… dozens? Less? I even wonder about the word new. 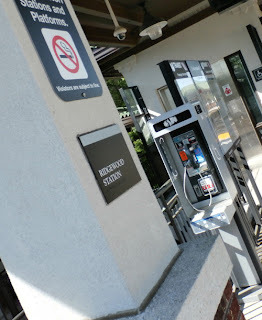 Is there a factory still making pay phones, or are they just refurbishing old ones? Those cast metal pay phone shells are built to last, survive all weather conditions. So many pay phones have removed. 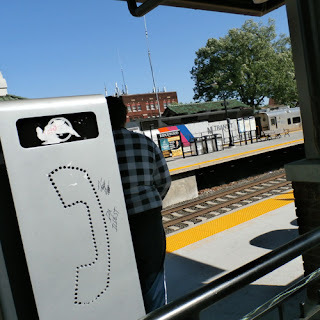 The transit system is one of the few sanctuaries left for this last century form of public communication, especially new ones and I wonder if the new ones are entirely new or are the old shells being recycled and refurbished. I’m on the wrong platform. I’m waiting for the wrong train. I’m headed in the wrong direction. I need to call again, I’m going to be later… much later.